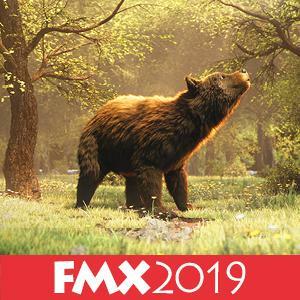 SIGGRAPH Asia 2019 provides a generous array of presentation technology in the technical session rooms. The standard setup includes a screen, a standard-resolution video/data projector, a standing lectern, lectern microphone and a Windows PC. All the computers are connected to a switcher that feeds the standard-resolution video/data projector. We will also provide you with the equipment to connect your own laptop to the associated projector. If you prefer to use your own equipment, we strongly recommend testing the setup in the Speaker Preparation Room as early as possible. If you have a special cable that needs to be connected to the projector; it would be safe to bring it along. We recommend that you use our session-room computers in order to maintain the integrity of the equipment setup. Connecting other computers tends to disrupt the presentation flow. If you have special software or hardware requirements, please inform us in advance, so we can provide a connection to get you up and running. SIGGRAPH Asia 2019 provides a 16:9 aspect ratio for all session rooms. * All screens and projectors are 16:9, so you will need to create your slides in 16:9. Please note that it is not mandatory to use the 16:9 formats, but if you do not, your slides will not appear as prepared. One projection screen, sized appropriately for the room layout. One PC with CD-R/DVD drive, wireless internet connectivity up to 2mbps, Windows 7, and Microsoft Office 2010. All rooms are equipped with mono sound system.